Is Genpact Limited (G) a Good Stock to Buy? We started seeing tectonic shifts in the market during the third quarter. Small-cap stocks underperformed the large-cap stocks by more than 10 percentage points between the end of June 2015 and the end of June 2016. A mean reversion in trends bumped small-cap stocks’ return to almost 9% in the third quarter, outperforming their large-cap peers by 5 percentage points. The momentum in small-cap space hasn’t subsided during this quarter either. Small-cap stocks beat large-cap stocks by another 5 percentage points during the first 7 weeks of this quarter. 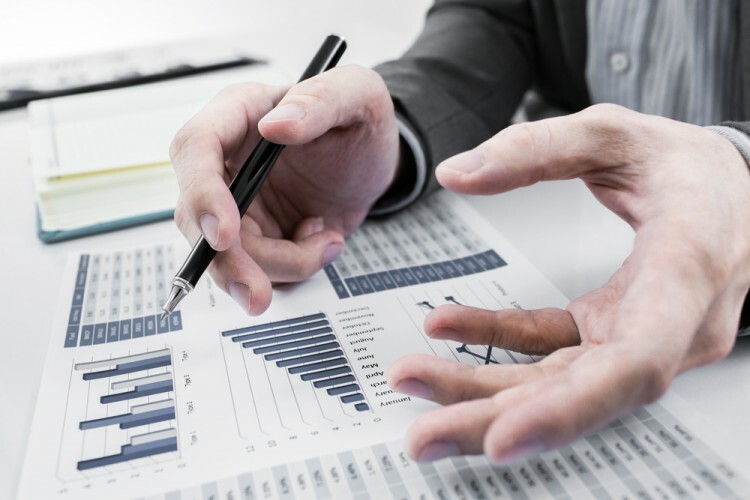 Hedge funds and institutional investors tracked by Insider Monkey usually invest a disproportionate amount of their portfolios in smaller cap stocks. We have been receiving indications that hedge funds were boosting their overall exposure and this is one of the factors behind the recent movements in major indices. In this article, we will take a closer look at hedge fund sentiment towards Genpact Limited (NYSE:G). Is Genpact Limited (NYSE:G) the right pick for your portfolio? Money managers seem to be turning bullish. The number of long hedge fund positions that are disclosed in regulatory 13F filings increased by three during the third quarter. In this way, there were 22 hedge funds in our database with long positions in Genpact Limited at the end of September. At the end of this article we will also compare G to other stocks including Polaris Industries Inc. (NYSE:PII), Dun & Bradstreet Corp (NYSE:DNB), and athenahealth, Inc (NASDAQ:ATHN) to get a better sense of its popularity. With all of this in mind, we’re going to take a glance at the new action surrounding Genpact Limited (NYSE:G). What have hedge funds been doing with Genpact Limited (NYSE:G)? A total of 22 of the hedge funds tracked by Insider Monkey were long Genpact Limited at the end of September, up by 16% from one quarter earlier. 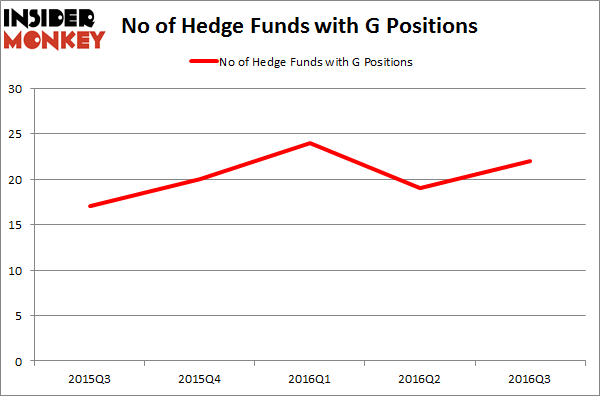 Below, you can check out the change in hedge fund sentiment towards Genpact over the last five quarters. With hedgies’ positions undergoing their usual ebb and flow, there exists a select group of noteworthy hedge fund managers who were increasing their stakes considerably (or already accumulated large positions). According to Insider Monkey’s hedge fund database, Ricky Sandler’s Eminence Capital has the biggest position in Genpact Limited (NYSE:G), worth close to $119.8 million, corresponding to 2% of its total 13F portfolio. On Eminence Capital’s heels is David E. Shaw’s D E Shaw, with a $69.7 million position; 0.1% of its 13F portfolio is allocated to the company. Remaining peers that are bullish encompass Richard S. Pzena’s Pzena Investment Management, Cliff Asness’ AQR Capital Management, and Peter Rathjens, Bruce Clarke and John Campbell’s Arrowstreet Capital. We should note that none of these hedge funds are among our list of the 100 best performing hedge funds which is based on the performance of their 13F long positions in non-microcap stocks.